While having your own dental clinic might be a dream true for you, handling a business is different from the normal dental practice you’ve been studying about for years. I have met a lot of new dental business owners who end up facing a lot of problems because they aren’t able to set their priorities right. They don’t realize that once they own a dental business, they need to focus more on the management aspect of their dental business instead of the practice. In a sense, even if your practice is a 100%, it won’t get your business anywhere unless the management is up to par. 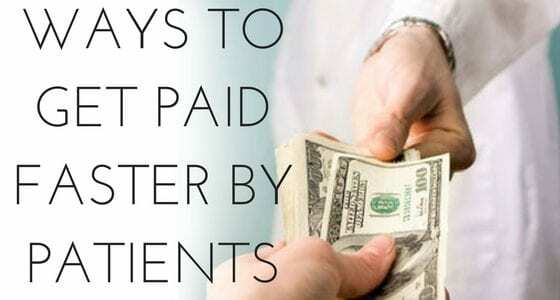 I’ve come across a lot of owners who ask me “what to do when patients aren’t paying on time?” Well, the answer to that question is quite simple. You need to properly manage the entire process. Imagine you’re a patient and you walk into a dental clinic. Of course, you won’t know how to pay for the procedure if the staff there doesn’t provide you with the necessary information. In the perfect scenario, the staff will already have an efficient billing and collection process created. Furthermore, they will also share the payment options with the patients. A patient needs to know how and when to pay to make sure the procedure is financially covered for, right? And yes, depending on the case, you can also ask patients to pay up-front. Have an agreement plan already in place? Good! That will help you receive money from a patient in a timely manner if they prefer to pay for the remaining half after the procedure. Also, there’s a lot of confusion when it comes to payment methods. I have seen patients scrambling to get everything in order, and sometimes arguing with the billing staff, because they weren’t made aware of the payment methods beforehand. Does the dental clinic accept credit cards, debit cards, insurance, VISA, PayPal, etc.? Let your patients know to avoid problems when it comes to how they should pay for the procedure. The dreaded follow up is something no one looks forward to. But alas, it is something that needs to be done for patients to pay up! The staff should be polite and courteous when contacting patients to pay up. To help you out, we have an “Ultimate Billing and Collection Toolkit for Dental Practitioners” that has everything they need to run their business smoothly.